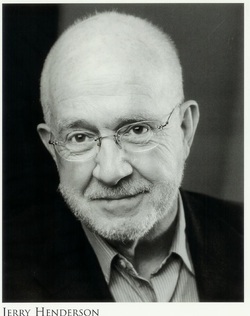 After completing a PhD at Louisiana State University, Jerry Henderson spent his entire career acting, directing and teaching. He is a retired Professor of Theater from Pepperdine University in Malibu, California and now lives in historic Franklin, Tennessee. A fiction writer's mind is free to wander anywhere. He can invent characters who live here or there and ones who live now or then, at his discretion. 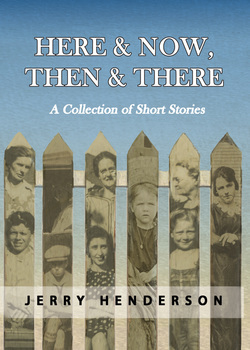 This collection exposes the reader to all: the here, the now, the then and there. Through the eyes of dreamers, realists, celebrities, farmers, students, teachers, prisoners, voodoo queens, the dead, AIDS victims, children and adults, the writer provides the reader with experiences of loss, gain, hopes and dreams. From the streets of San Francisco, New Orleans, Nashville, Hollywood, New York, Berlin to historic sites and dirt roads of rural communities one is given insight into various fascinating characters and their environments. The stories range from a woman's determination to end a dieting argument to two men refusing to become irrelevant in old age, from the longings of an incarcerated poet to a grandfather's vigil of a special memorial. None of these stories is drawn completely from any particular source. Vivid remembrances of people, places, times, some sayings and other quirky flashes from years ago to the present make up the material for the stories. The reader will identify with many of these people, as well as the places, but all were borne of and thrived in the writer's imagination.